Lane Arts Council is excited to partner with ArtCity Eugene on a unique coworking opportunity for artists. ArtCity Pro is an ongoing opportunity for artists to work on growing our businesses while strengthening our community. Do you long to spend productive time working on your art business? Do you want to work alongside fellow artists and learn from each other’s questions, challenges, and successes? Bring your laptop and be prepared to work on your business, share ideas, and find solutions alongside fellow artists in pursuit of greater business practices that will support and sustain our studio careers. 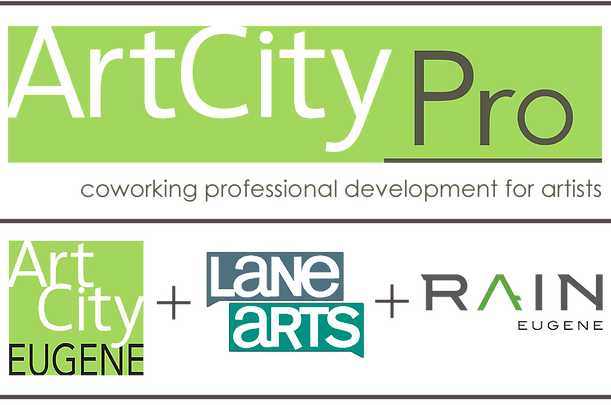 ArtCity is excited to offer this supportive coworking environment in partnership with Lane Arts Council & RAIN Eugene. ArtCity Pro continues to meet on the 2nd & 4th Monday of each month. We invite you to join us and we look forward to seeing you!